Cherokee Central School - Productions Unlimited, Inc. | Productions Unlimited, Inc.
Nestled at the foot of the Smoky Mountains in North Carolina, Cherokee Central School takes a unique approach to public education. This means focusing not only on traditional course material, but also on the cultural heritage of the Cherokee Indians. 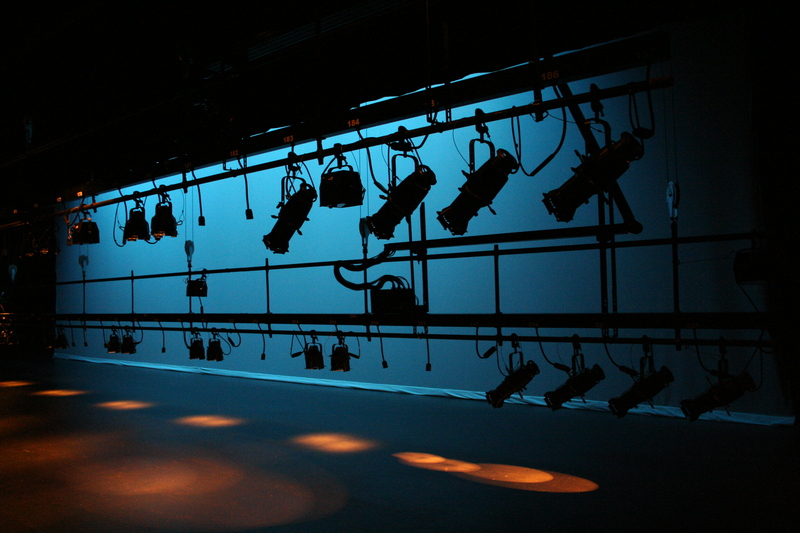 Productions Unlimited, Inc. was pleased to contribute to these objectives by providing lighting and rigging systems for the school’s Cultural Arts Center. 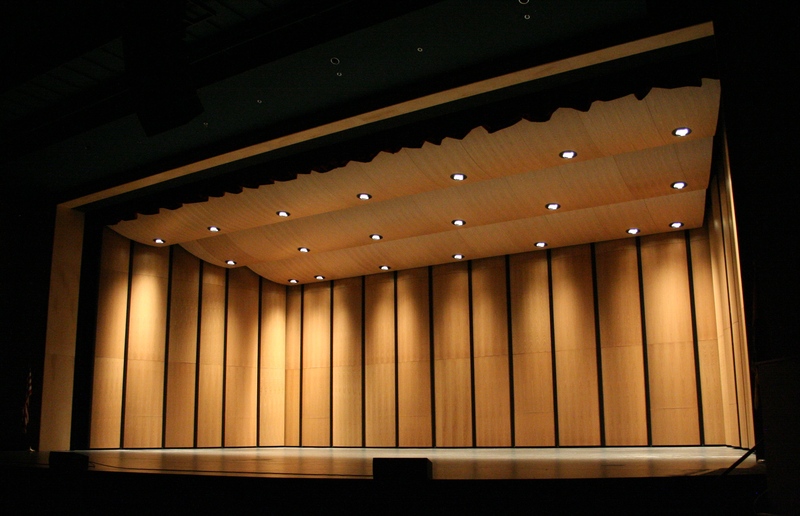 More recently, we added an orchestra shell as well as projection screens for the Cultural Arts Center and Elementary School. The Cultural Arts Center is a 1,011-seat facility for the creative and performing arts. 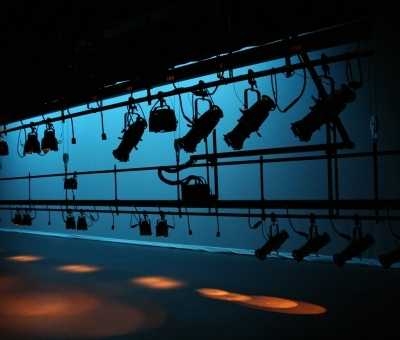 The lighting system is comprised of worklights and broad cycs by Lighting & Electronics, Canto followspots, and a mixture of ETC Source Four fixtures including ellipsoidals, PARs, PARNels, and Zooms. Additionally, we provided several SeaChangers (an Ocean Optics product). These increase the system’s efficiency and augment the school’s effort to promote environmental sustainability. Our team fabricated box booms and light ladders in our metal shop. Our friends at SSRC manufactured raceways and distribution. Four ETC Sensor+ dimmer racks with a custom auxiliary rack, an ETC architectural control system, and an ETC Eos console complete the system. 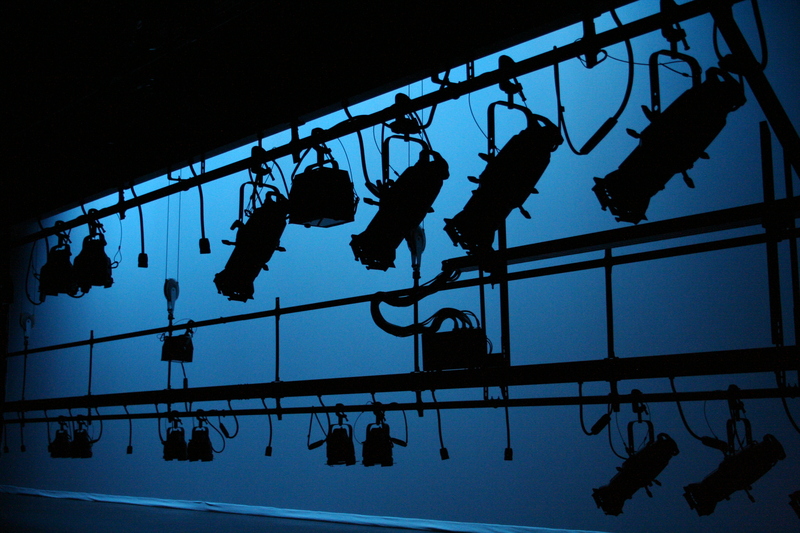 A useful extra at the Cultural Arts Center is an ETC Emergency Lighting Transfer System (ELTS). The ELTS ensures that, in the case of a power failure, the system will draw from an alternate power source, thereby providing light to allow people to exit the building safely. 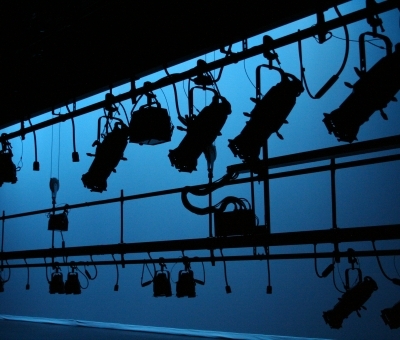 The Cultural Arts Center also boasts a 52-foot fly loft above the stage. This affords them a range of production possibilities that are atypical for most K-12 schools. We installed a fully automated rigging system consisting of Vortek motorized hoists. 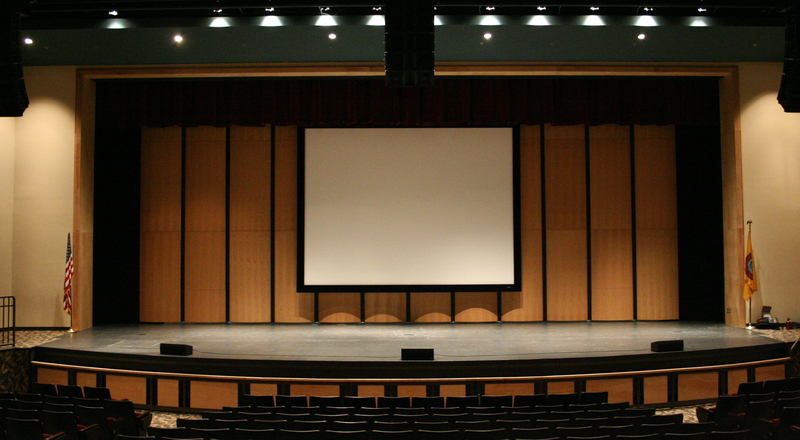 Completing our work at Cherokee, we installed stage curtains fabricated by Stage Decoration & Supplies. 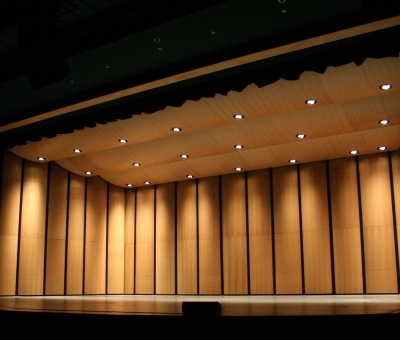 More recently, we had the pleasure of returning to Cherokee to provide and install a Wenger orchestra shell. 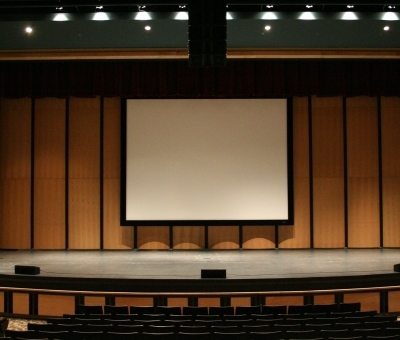 We also installed a video projection screen by Stewart Screens in the Cultural Arts Center. Da-Lite projection screens were installed in the elementary school’s multi-seasonal pavilion (The Gathering Place) and in the elementary school dining room. Productions Unlimited, Inc. is proud to have outfitted Cherokee Central School with the first-class equipment and technology necessary to pursue their distinct educational goals with functional efficiency and environmental care.